British architect David Chipperfield has unveiled his design for a museum in Agra, India, which is now under construction next to the Taj Mahal. Scheduled to open next year, the Mughal Museum is one of four new tourist attractions being built in the city. 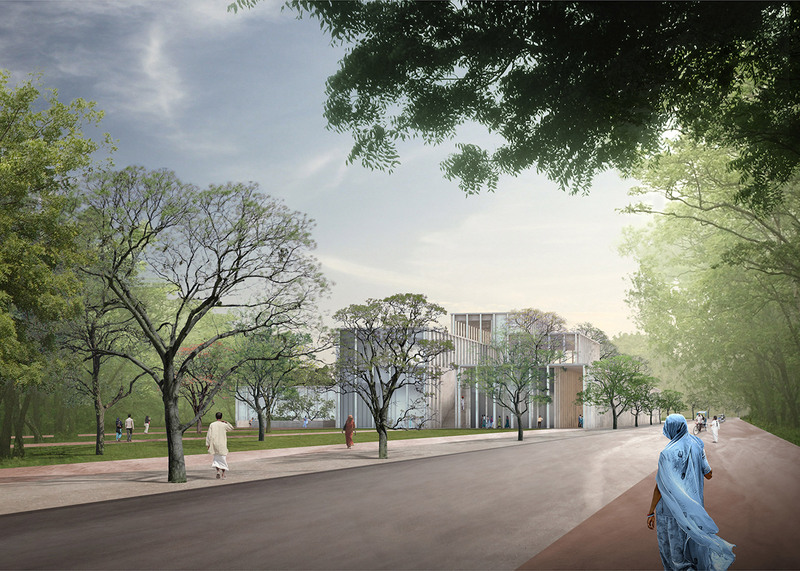 According to David Chipperfield Architects, it will accommodate 5,200 square metres of permanent and temporary exhibition space dedicated to the history and culture of the Mughals, a dynasty that ruled over northern India for over three centuries. Exhibits are expected to include Mughal-era artefacts, weaponry, armour, costumes and currency. The museum will occupy a 2.5-hectare site approximately 1,300 metres away form the Taj Mahal – the white marble mausoleum commissioned by Mughal emperor Shah Jahan in 1632 to hold the tomb of his favourite wife. Located near the eastern gate, it will be accompanied by the Agra Heritage Centre, Taj Orientation Centre, and Street Cafeteria. Akhilesh Yadav, chief minister of Uttar Pradesh state, laid the foundation stones for all four new buildings in a ceremony in mid-January. David Chipperfield has developed a reputation for museum design. Among his best-known works are the renovation of the Neues Museum in Berlin, the Hepworth Wakefield gallery in northern England and the Museo Jumex in Mexico City. He is currently working on the reconfiguration of the Royal Academy of Arts in London and the world's largest free-standing museum dedicated to photography in Morocco.